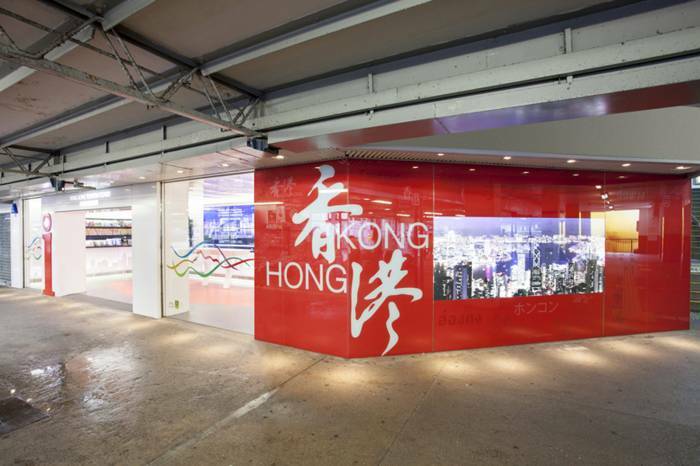 Hong Kong – Asia’s World City. 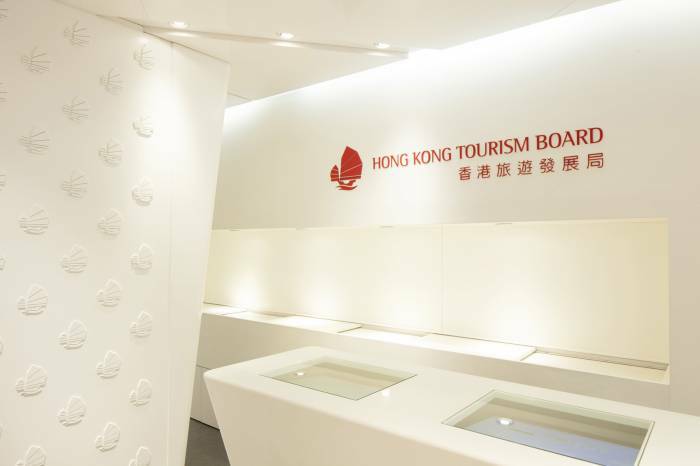 This is a flagship Visitor Center of Hong Kong Tourism Board, of which located at Tsim Sha Tsui Star Ferry. We aimed to present a sense of modern, neat, dynamic and user friendly atmosphere for our worldwide visitors. 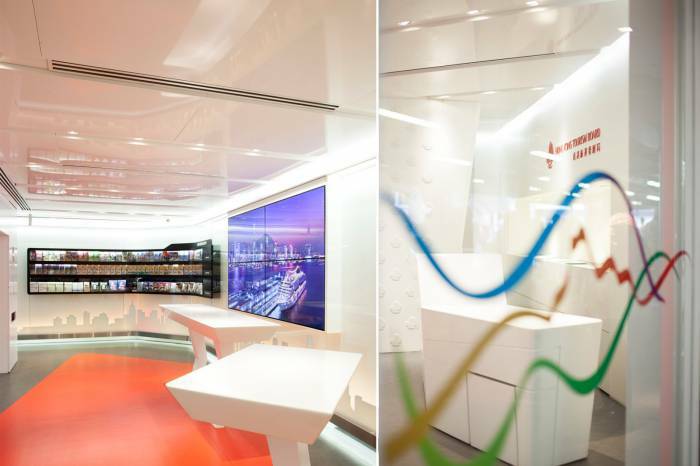 The design was started with different angles of lines, to bring out the lively and energetic gesture to the space. 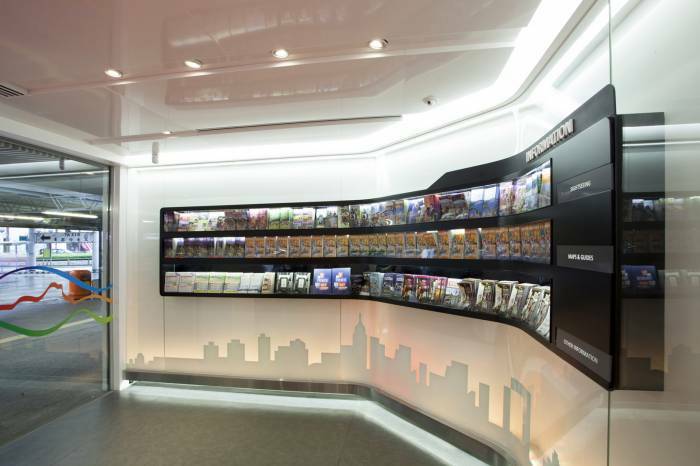 Since, this visitor centre has very high traffic flow, therefore, the biggest difficulties is to maintain hundreds of leaflet, tool, and equipment in a durable and user friendly condition for both staffs and visitors, but, at the same time they need to be nicely presented and flexible. 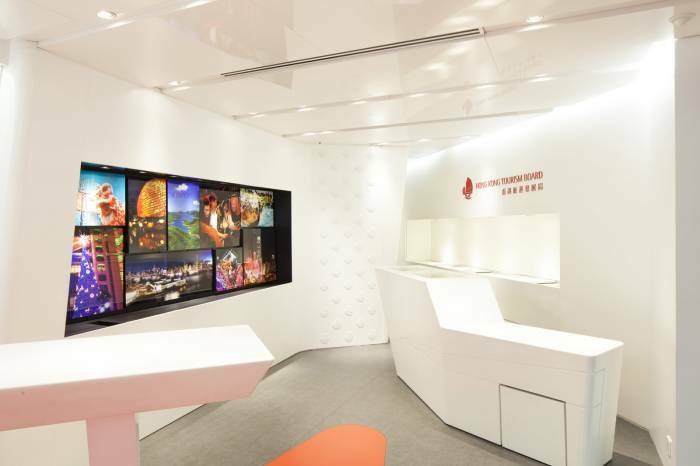 We uses large amount of white walls and ceilings, not only to emphasize its corporate color – Red, but also the illuminating skyline of our Hong Kong.